So I need a choker that I can quickly attach to hook on skid loader and the other end to choke the dead sows to pull them out of our farrowing and gestation barns. Ropes are a pain, chains are also. A wire rope choker sling seems like it be the ticket...but will the wire rope quickly break being drug across gravel for short distances...one of the guys worries about getting cut by brojen strands of wire?? Well, there is not a perfect answer here. 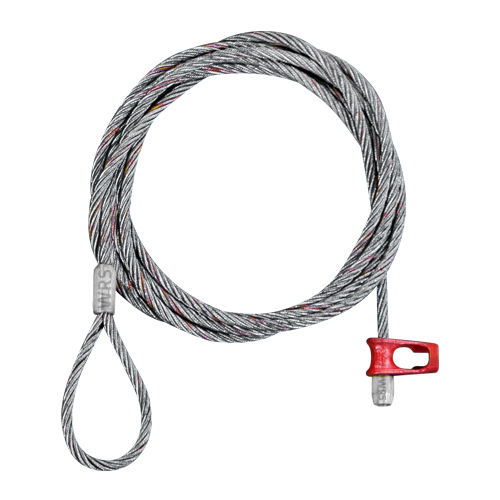 Wire rope is very tough and most chokers, assuming they are not completely overloaded, will tolerate a lot of abrasion (scraping, rubbing, etc.) before their performance is impacted, or they simply break. But every application is unique, so we simply suggest you minimize the abrasion as best you can.